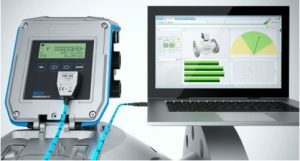 SICKUSABLOG.COM, March 12, 2018 – The new FLOWgate™ operating software for all from SICK links diagnostic data quickly and intelligently, and presents them already prepared – for consistently easy operation or for clear, needs-based process monitoring. A single software for all FLOWSIC sensors. The integrated solution wizard ensures quick help through the automated evaluation of diagnostic data. SICK developed this software for the challenging requirements of the oil and gas industry on gas measuring technology. To continue reading this article, click here.